Dramatic increases in the ageing population have created growing demand for personal care assistants (PCAs) across the states and territories in Australia. Available data indicates that the population aged 65 to 85 years will double in Western Australia (WA) by 2050. This demographic ‘time bomb’ (see Montague et al., 2015) will exert significant pressure on the already under-resourced and under-supported aged care industry to respond to the looming demand for PCAs. To date, there has been a lack of any PCA-specific studies within the aged care sector in WA that address these issues. This report explores key factors that influence PCA’s intentions to stay or leave employment within aged care facilities from one case study organisation in WA. The report authors interviewed 21 managers and union delegates, and conducted a follow-up survey of PCAs within nine aged care facilities from the case study organisation in WA between May and October 2016. The survey demographics were very similar to those found across the industry with a high female workforce share; an older workforce compared to other industries; and a high share of permanent part-time contracts. The analyses found statistically significant associations between intentions to stay or leave employment and several PCA attributes. Higher percentages of: a) mature aged respondents (40 years and above), b) respondents with English as their first and only language, c) female respondents, and d) respondents based at the non-metropolitan locations of aged care facilities, indicated their intentions to stay in their current jobs. The findings indicate the aged care sector’s ability to match demand for services depends on the combination of expanding as well as retaining the current PCA workforce. 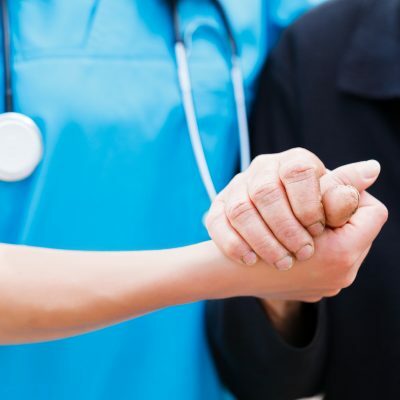 The survey findings have the potential to inform policies and organisational strategies to attract and retain PCAs by the managers and supervisors of aged care facilities in WA. 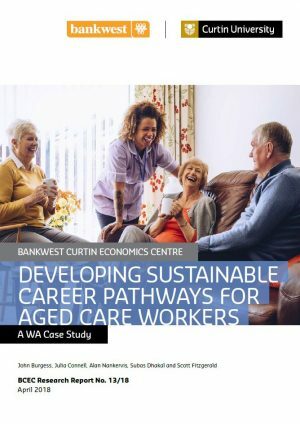 This report outlines potential sustainable career pathways for the attraction and retention of PCAs within the aged care sector in WA, and proposes a strategic way forward.